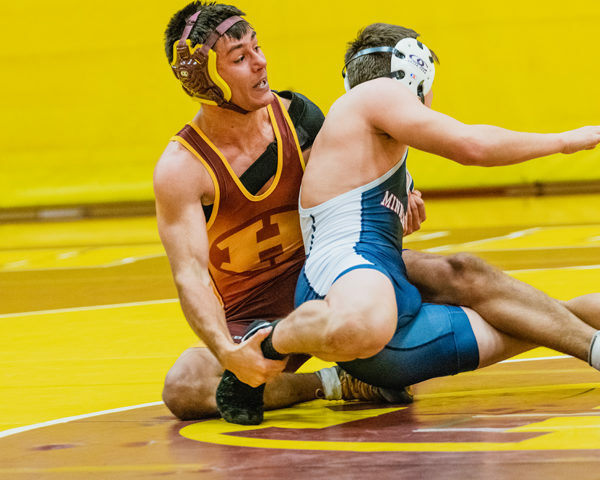 Hillsboro hosted the Hillsboro-Halstead-Minneapolis Wrestling Dual on Nov. 29. The Hillsboro team lost to Minneapolis 68-6. They defeated Halstead 42-18. Paul Glanzer had his first ever wrestling match. He wrestled at 106 against Minneapolis, but lost after getting pinned. Charlie Major (113) lost against Minneapolis after getting pinned, and he won by forfeit in his second match. Raymond Johnson (126) lost when he was pinned in the first round, but he won his match against Halstead 10-6. Garrett Helmer (132) lost after getting pinned by Minneapolis, and won his second match by forfeit. Jordan Bachman (138) was pinned by #4 ranked in the state for his first match but he came back and won when he pinned his opponent from Halstead. Kyle Horton (145) lost both matches. He lost 5-0 against Minneapolis and was pinned in his second match. Tristan Rathbone (152) won his first match 9-2, but lost after getting pinned in the match against Halstead. Andre Patton, a Canton-Galva student who wrestles on the Hillsboro team at 160, won both of his matches. His first match was 12-6 and his second match was 14-8. Senior Kyle Horton weight class 145 wrestling Body Murk from Minneapolis. Austin Rempel (170) lost his first match after getting pinned, but he rallied and won his second match after pinning his Halstead opponent. Lane Fleming (195) lost his first match when he was pinned by the second ranked in the state Minneapolis opponent. He secured the win with a pin in his second match. 220 pound Connor Morey lost to Minneapolis after getting pinned. He won by forfeit in his second match. Jared Janzen (285) lost both matches when he was pinned by opponents. “In our conversations after the duals, all of us coaches agreed that we have a lot to work on, but we also feel like we have a lot to work with. This is a good group of wrestlers that are willing to put in the effort and to improve. 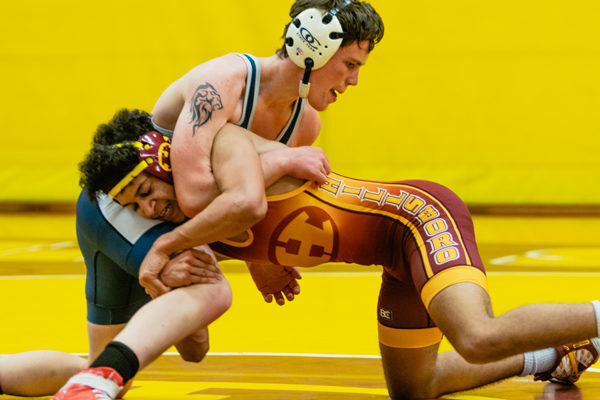 We are excited about getting a few of them adjusted into the line up so that we can fill all fourteen weight classes and getting them all more,” said O’Hare.